In order to be able to use JungleDocs to generate PowerPoint presentations, you must have a library with a content type that uses a PowerPoint document as a template. 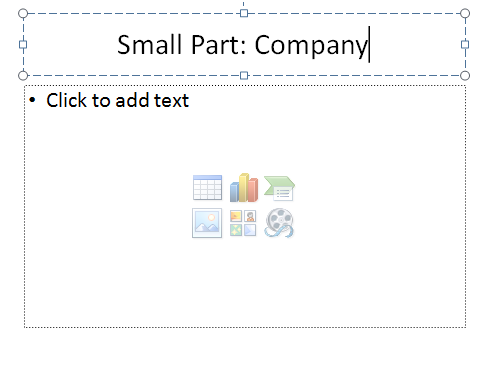 To do this, you can add a content type that has a PowerPoint Presentation document template assigned to it, or create a library that already has a PowerPoint Presentation document template. In this tutorial, you will learn how to do this. 1. To get started, you should create a library. 2. Open your site, click settings and Add an app. Select Library. 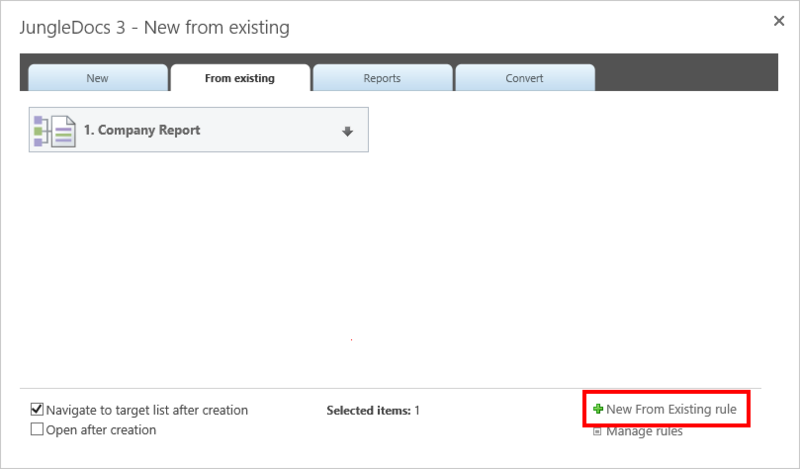 Specify other settings, rule name, column mapping settings and click OK.
All placeholders for the Presentation content type will be listed in the sample document. 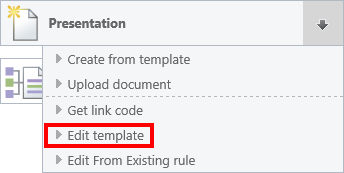 Simply copy those placeholders into your presentation template and they will be replaced with data from your SharePoint list upon generation. You can only put one Small Part into a single slide. For more information on how to configure document merging, please refer to this guide.